Hyper HIP-HOP! An excellent beginner to intermediate indoor speed session wheel! Hyper HIP-HOP! An excellent beginner to intermediate indoor speed rink session wheel. Good, Hard, Fast wheel at 96A great for Derby too! 62mm x 40mm wheels. 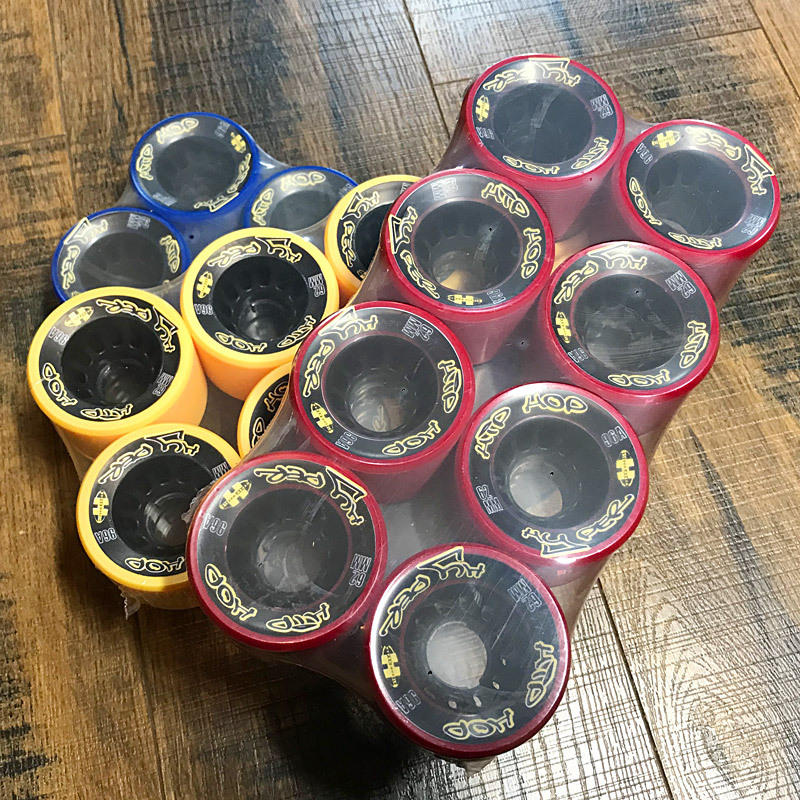 Set of 8 wheels with Famous HYPER WHEELS Urethane! Available in 3 colours: Blue, Red, and Purple. Hurry – While Quantitiies Last!